Special thanks to Audio Sanctuary in New Malden, London, for lending me their display units of the HD660S, HD650 and HD600. 260 grams feels like nothing to me now after such a long time with the Focal and ZMF headphones. That being said, I find the comfort to be largely affected by the amount of clamp these can have while new - a few hours in and I was feeling the pain. Once on your head, however, they stay put so you can headbang away without fear of them falling off. 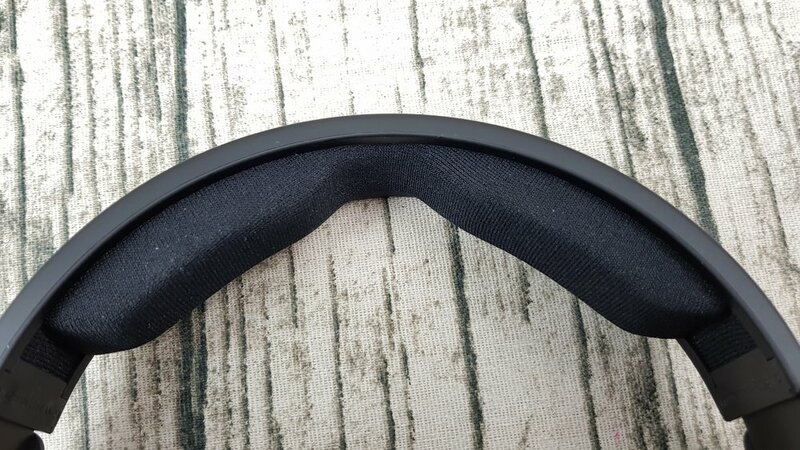 The cushioning on the headband is adequate, considering its low weight. As for the build itself, it’s very much in line with the other two 600 series headphones. Made of plastic, the HD660S won’t wow you with its durability – but take reasonable care of it and it doesn’t seem like it will fail you. Aesthetically, it’s my favourite of the three – or four if you count the Massdrop x Sennheiser HD6XX as well. The black is sleeker than the marble finish of the HD600 especially. A change on the cups is the addition of the logo, and another change (one I personally dislike) is the logo on the headband being made smaller and more to the side rather than squarely in the middle. It comes with…the same exact cable connectors as the other two. In a way, I’m sure this is appealing to longtime fans who have spent on aftermarket cables that they’d like to carry on over – but the connectors on these are some of my least favourite available for any headphone. The most noticeable aspect of the HD660S, at first, is its capability of delivering an impactful sound. The attack of notes is quite well done, with the announcement of each percussive sound not shirking. The interesting thing about this impact is tied squarely to the bass of the HD660S. There isn’t a lot of bass in amount, but it seems quite focused and punchy. Most importantly, it isn’t sluggish and moves at quite a nimble pace – especially noticeable with bass guitar playing and double-kick drum patterns. I’d also characterize it as being somewhat clean sounding, it attacks fast and decays quickly without any lingering feeling or even bloom. It doesn’t extend very far down, about on level with what I’m used to with the Focal Utopia, but it sounds disciplined enough to render Angel by Massive Attack’s brooding bassline properly with surrounding instrumentation. The lower-midrange of the HD660S sets it quite a bit apart from the HD650, to my ears – but more on that later. It is decently represented without slipping into the overly warm category. Make no mistake, I’d still classify this as a bit of a warm headphone (all things considered) but it certainly has less emphasis in the region than I expected. I found male vocals to do really quite well, and found the chugging effect of distorted electric guitars to have ample body and weight to them. Now That We’re Dead by Metallica is a good example of both these factors in play, with the bite of the rhythm guitars being in full effect. The midrange itself isn’t lush. I wasn’t immediately hit by a feeling of sweet smoothness that I remember hearing with the Hifiman HE-500. Instead, I’d characterize the midrange as a bit shouty in nature. I’m reminded of the Focal Elear in a way, but the HD660S is leaner. The feeling of sound pushing itself out at the listener can’t be escaped, and just like with the bass – the headphone sounds impactful and dynamic. The dynamic nature of the HD660S is actually very noticeable, especially compared to its siblings, as being laid back is not in its nature. As stated before, drums hit hard – but when everything else joins in, it can lead to a fist-to-the-gut experience that would probably not appeal to fans of the pre-Fazor Audeze LCD-2. To my ears, this is the most resolving of the three Sennheiser 600 series I’m talking about today, narrowly edging out the HD600 due to its better bass reproduction, speed and dynamics. The issue that comes to mind, however, is that the shouty nature will definitely not be to everyone’s taste – and comes across as artificial across the board. Yes, this is not a very effortless and natural headphone – but rather a brazen attempt by Sennheiser to inject a livelier sound into their 600 series. There are casualties along the way of this approach, as some more aggressive genres (depending on production and mastering) may sound downright harsh on the HD660S. That same lower-midrange texture that helps chugging rhythm guitars in the lower registers will morph into a shrill upper-register experience for anything that isn’t recorded, mixed and mastered to meet audiophile requirements. This isn’t only on the music itself, however, as even the harsher moments of The Downward Spiral by Nine Inch Nails can sound a step too far at times – and that’s a very meticulously put together album indeed. What’s interesting is that genres like classic rock and jazz definitely benefit from this added aggression, and the separation of instruments doesn’t descend into a hodgepodge very often no matter the source material. The string section of Comfortably Numb by Pink Floyd ebbs and flows properly along with the song, something I don’t hear as much of on the HD650 but definitely hear more of on the HD600. The detail retrieval upgrade is in effect too, with the Nashville-tuned acoustic guitar in the background being more noticeable on the HD660S – another indication of it being more resolving than its siblings. That brings us to the Sennheiser Veil, a concept that I’ve seen either wholly accepted or argued over (usually by owners of the HD600 and HD650) on audio forums. I’d like to state that I do hear it with all the 600 series, and I still hear it with the HD660S – which might be bad news for anyone wondering if this new iteration “cures” that. The interesting part of the treble on the HD660S is that, while it is still slightly veiled, it puts up a hell of a fight – for better or worse. Keeping with the dynamic nature of the bass, the treble causes cymbals to hit hard and have some severe impact – while being more noticeable and less chopped than the HD650. Adding to my belief that it’s the most resolving of the three (overall), the HD660S has good attack in this region and decent decay – not many situations of cymbal bleed, to my ears. This is another reason I enjoy jazz quite a bit on this headphone, and even the jazz-metal fusion that is Black Sabbath by Black Sabbath is well served by the capabilities of the HD660S – with all the cymbal work being brought out quite properly. To me, personally, it’s a fun instrument to listen to and I often look for its presentation in audio gear. The issues are, firstly, in line with the treble being slightly hard in nature and a bit artificial (this has become a running theme at this point in the review). Most importantly is what sounds like a slightly brittle characteristic that I can’t seem to shake off hearing. The HD660S is far from the worst offender of this in the world of headphones, but it’s noticeable enough to mention. Again, the worst pairings of this seem to be more compressed, loud and slightly abrasive music, and I’m sure someone will argue that this is more the fault of the source material than the headphone – hell, they might even call the headphone extra revealing for this. This is not entirely the case, as the ability of headphones to keep things together at the seams when faced with such a recording is important – to me anyway. Yes, headphones can be unforgiving or reflect the harshness of a recording like Holiday In Cambodia by the Dead Kennedys – but I honestly feel that the HD660S takes it one step too far in the negative zone. The song sounds worse than a demo recorded on a tape recorder in an echo-laden space when listened to on the HD660S. Even with the notoriously picky HD800 back in the day, I didn’t get nearly the same effect – which makes me think the symptoms are a combination of the shouty nature of the headphone coupled with a slight uncleanliness in the treble. This also makes me ponder why it is that a song like that can hurt to listen to, but I can immediately switch to something like Dark Side of the Moon and wish that there wasn’t a slight ceiling on the sound (the veil in effect). This selectiveness adds to my feeling that the treble extension is a bit uneven. 1. I’d like to stand by my audio chain, with which I’m very familiar at this point and believe is more than adequate to compare these headphones. 2. These headphones are all stock display units borrowed from my local store. No mods are in place, and I haven’t heard any modded HD600/HD650s either. I aim to only speak to what I hear on this specific setup with these specific stock models. 3. Strong believers of burn-in should know that the HD660S is a very new unit while the HD650 and HD600 are much, much older. 4. I have heard that the age of the pads makes a difference – both the HD650 and HD600 pads are not decrepit and have been changed not too long ago by the looks of them. This headphone, in the form of the Massdrop x Sennheiser HD6XX, and its ability to be obtained for $200 is a huge selling point in 2017 – but it’s been a staple in the audiophile community for far, far longer. The first thing I wanted to test was the belief that the HD660S was a “HD650 with sub-bass” that I’d seen floating around the online community. I compared the two with the 3:27 mark of Why So Serious? by Hans Zimmer off of The Dark Knight soundtrack. This deep and rumbling sub-bass section can sound downright muted on some headphones. While it isn’t so on the HD650, I found the section to have far better body and control on the HD660S. It’s important to note that it isn’t just sub-bass rumbling that’s going on here, but a very low string section accompanying it – building to the near-nauseating suspense in the track. The HD660S was able to represent those aspects along with the bass at a more refined level than the stock HD650 – due to its superior ability to separate the bass with the accompanying frequencies. On the HD650, I felt like I was missing out on both some impact and perhaps some of the notes themselves – as the overall experience was quieter. As you may expect, the softer bass impact of the HD650 extended to everything else that I listened to – and the feeling was a bit odd coming straight from listening to the HD660S for a while. The softer bass impact and less intricate separation on the HD650 highlights its lesser ability to separate the bass and lower midrange compared to the newer headphone. While there isn’t unfathomable bass bleed, there is a distinct feeling of melding going on that is better handled on the HD660S. This leads of the overall sound of the HD650 being quite warm, certainly compared to its two siblings. I found the midrange to be an easier listen than the HD660S, however, as it has more body to it. While it’s definitely thicker here, it lacks a bit of the texture that the HD660S has that lets distorted guitars sound as raw as they should – there is a feeling of smoothing throughout on the HD650. Also there’s a certain boominess that is present at times, Now That We’re Dead by Metallica has the bass guitar and rhythm guitar crunch meld to be slightly bloated. I found the HD650 to be a more veiled experience than the HD660S, but it also lacks the very shouty nature of the newer headphone. It also doesn’t possess the treble harshness that the HD660S can have at times, Holiday In Cambodia is on the opposite end of the spectrum when it comes to its reproduction. Instead of harsh like on the HD660S, it’s overly smoothed and distant instead of biting. Also, both headphones have similarly intimate soundstage – but I feel that the HD660S has slightly superior imaging with there being less of a blind spot in the center. The lessened detail retrieval is also heard on cymbal patterns. Gloria’s Step by the Bill Evans Trio on Sunday At The Village Vanguard sounds more immediate in its percussion on the HD660S. Not only that, but the cymbal impact and decay is both softer and even a bit rolled on the HD650 by comparison. The snare sound on the left channel is slightly intruded upon by the upright bass guitar work as well, reminding me that the HD660S indeed separates better. Couple all of the above with the fact that the HD650, in stock form, is so veiled and it should be a no-brainer that the HD660S is the better headphone right? Well, it isn’t that simple. Price-to-performance and mods aside, the HD650 might be more to the liking of several folks simply due to its more cohesive overall sound. I’ve quite easily ticked off ways in this review where the HD660S does things at a more competent level than the HD650, but the overall feel of the older headphone seems more even to my ears – and I’m not a fan of the 600 series much at all. Again, this is very subjective – but I think that the various little triumphs that the HD660S has in this comparison don’t entirely add up to a decisive advantage overall. It still is the shoutier of the two, the more treble uneven of the two and the more artificial of the two. The HD650 is more laid back, and dare I say a more comfortable listen? My personal tastes, with the Utopia being my favourite headphone and all, actually fall more into the presentation of the HD660S camp – but my nitpicking nature can’t entirely overlook the treble and tonal issues in this comparison. After all, I don’t only listen to jazz and classic rock. What I enjoyed immediately after switching to the HD600 was this sense of depth the sound gained over the HD660S. While the newer headphone is punchier and more impactful, it can sound thin and strident compared to the HD600. The HD600 is the most midrange-centric of the three headphones, and it has my favourite presentation in this regard. The reason for this is, firstly, the lack of lower-midrange and bass bloat that I hear with the HD650. Secondly, and most importantly, the presentation is a step above the HD660S when it comes to an effortless and natural sound. The bass of the HD600 is the most muted of the three headphones and it remains largely in its own camp and doesn’t intrude like the HD650 can at times. There is still a heft in the low end of the headphone that doesn’t completely eliminate the sensation of bass, but it’s hardly ideal for genres dependent on slam and rumble – for which the HD660S is a better choice. Overall impact is also less frantic than the HD660S, but seems slightly more pronounced than the HD650. The sub-bass rumble in Why So Serious? is also weaker and less controlled than the HD660S, but the instrumental has a certain sheen around it that is interesting. It’s not smoothed, like the HD650, but it’s definitely a softer and less harsh experience than the HD660S during the crashing moments. This distinct lack of troublesome glare, compared to the HD660S, is not to be understated. It, coupled with the lack of bass bloat, makes this my favourite of the 600 series. The HD660S has a more open sound, and retains more texture overall – but the musicality of the HD600 is hard to beat for the newer headphone. Not only is the HD600 more cohesive and natural sounding, its detail retrieval is no slouch itself. Also, the treble is more even up to the point where it falls off the veil cliff – the HD660S extends just a bit further before meeting its own similar demise, but the road there is rockier. Just for clarification, the soundstage of both headphones is similar – but the imaging on the HD660S seems less hard panned to me than the HD600. I feel like this is a good time to briefly explain my mentality going into these reviews. I don’t do these to offer purchase advice for my readers/viewers, but rather to express my thoughts and opinions on audio gear. It’s largely curiousity based on my end and I find it difficult to answer queries asking me to decide on gear for people. I’m stating this now because I have no idea if the HD660S is a worthy purchase at its MSRP price point, either for fans of the 600 series or for people looking to buy any of the three as an introduction into the Sennheiser line. I can’t contextualize entirely what buying the HD660S means, at its current price of $500, over the $200 HD6XX/HD650. One reason for this is my unfamiliarity with the HD650 scene, and the many mods I see mentioned online. I’ve heard that the HD660S pales in comparison to a “KISS modded” HD650, but I can’t confirm or deny that personally. I do feel that these headphones are distinct, however, each with their strengths and weaknesses. I have a minor gripe though as I think Sennheiser’s changes might not go far enough. 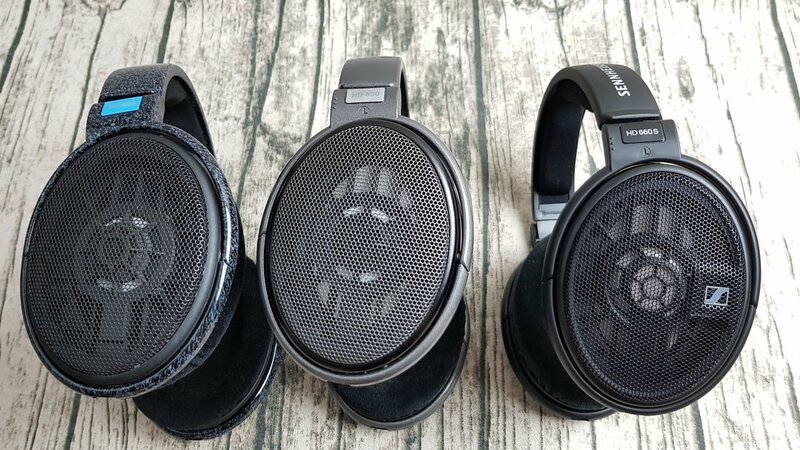 With all the advantages and disadvantages considered, I can’t say it’s a better headphone than the other two – but if you factor in the cost differences vs. your own preferences, you should be able to draw a conclusion as to which suits you the most. 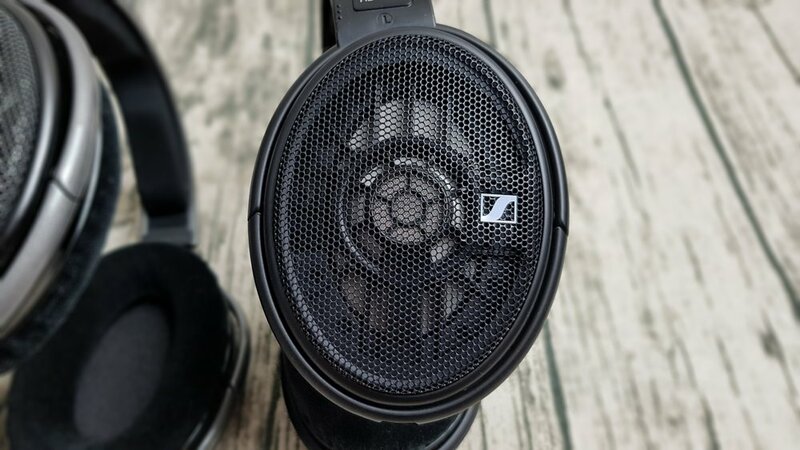 The Sennheiser HD660S is the most impactful and dynamic of the three headphones, it has the strongest ability to expose the details in tracks and it has the most controlled and emphasized bass. However, it has issues with being shouty, it is still veiled (although less so than the HD650), it has less of a natural presentation than the other two and it is a large jump in price. A day will come when all three headphones will be within an arm’s reach of one another in price, and then you can try all three and decide accordingly.